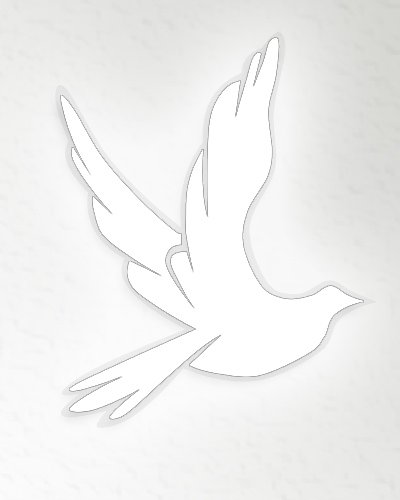 Obituary for Mary Belle (Neil) Hammer | Obaugh Funeral Home, Inc.
Mary Belle Hammer, 64, died on Wednesday, March 24, 1999 at her residence. She was born on January 1, 1935, a t Head Waters, a daughter of Lucian Homer and Nora Blanche (Devericks) Neil. She was a member of Monterey United Methodist Church, the church choir and Highland Homemakers Club. She retired from Frist and Citizens Bank on May 15, 1998 after 40 years of service. She was preceded in death by three sisters, Cora Neil Drum, Gladys Neil Copeland and Evelyn Neil Pugh; and two brothers, Burton and Victor Neil. Surviving are her husband Ralph Hammer, to who she was married on December 21, 1952; two daughters and sons-in-law, Carol H. and Jesse J. Swecker of Maidens, Sherry H. and Daniel J. Doody of Crozet; four grandchildren, Benjamin Skylar and Caitlin Nicole Swecker and Casey Lynn and Caleb Joseph Doody; mother-in-law, Sallie Kate Hammer; two sisters, Elizabeth Neil Haynes of Fairfax and Sallie Neil Hoffman of Winchester; two brothers, Marshall C. of Grass Valley, California and Robert B. Neil of Stuarts Draft; and nieces and nephews. A service will be conducted at 11 a.m. on Saturday at Monterey United Methodist Church by the Revs. Robert L. Haley and Jerry Ginn, with burial in Monterey Cemetery. Pallbearers will be George Bird, Kyle Obaugh, Lonnie Arbaugh, Michael Haynes, Mark Hoffman, Robert Ralph Neil, Jay Gutshall and Bobby Beverage. Honorary pallbearers will be the board of directors and employees of First and Citizens Bank and friends attending the service. The family will receive friends from 6:30-8:30 p.m. tonight at Obaugh Funeral Home. Memorials may be made to American Cancer Society or Monterey United Methodist Church memorial fund, Monterey, Va. 24465.